Today is the birthday of Alfred “Freddy” Heineken (November 4, 1923-January 3, 2002). 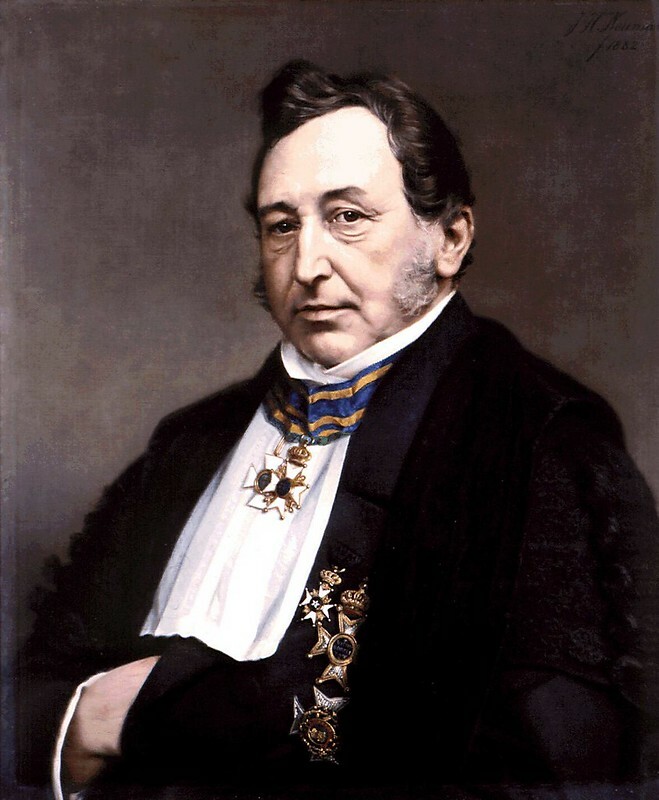 “He was the grandson of Gerard Adriaan Heineken, who was the founder of the brewery Heineken” in 1864. Under his management, it became a global company and today one of the largest breweries in the world. He entered the service of the Heineken company – which by then was no longer owned by the family – on June 1, 1941 and bought back stock several years later, to ensure the family controlled the company again. He created the Heineken Holding that owned 50.005% of Heineken International; he personally held a majority stake in Heineken Holding. By the time of his resignation as chairman of the board in 1989 he had transformed Heineken from a brand that was known chiefly in the Netherlands to a brand that is currently famous worldwide. Heineken married Lucille Cummins, an American from a Kentucky family of bourbon whiskey distillers. Heineken died unexpectedly from pneumonia on January 3, 2002 at the age of seventy-eight in his home in Noordwijk. The businessman died around 6pm in the presence of his immediate family, including his daughter Charlene de Carvalho-Heineken. Heineken struggled for some time with deteriorating health, in 1999 he suffered a mild stroke but recovered. Shortly before his death he broke his arm in a fall. Heineken was buried at the General Cemetery in Noordwijk. Heineken’s daughter, Charlene de Carvalho-Heineken, inherited his fortune. Heineken was a member of the People’s Party for Freedom and Democracy (VVD). One dark period of life occurred when he was kidnapped and held for ransom in 1983. Freddy Heineken and his driver Ab Doderer were kidnapped in 1983 and released on a ransom of 35 million Dutch guilders (about 16 million Euros). The kidnappers Cor van Hout, Willem Holleeder, Jan Boelaard, Frans Meijer, and Martin Erkamps, were eventually caught and served prison terms. Before being extradited, Van Hout and Holleeder stayed for more than three years in France, first on the run, then in prison, and then, awaiting a change of the extradition treaty, under house arrest, and finally in prison again. Meijer escaped and lived in Paraguay for years, until he was discovered by Peter R. de Vries and imprisoned there. In 2003, Meijer halted resisting his extradition to the Netherlands, and was transferred to a Dutch prison to serve the last part of his term. There have been two films about the incident, one in the Netherlands starring Rutger Hauer, and a more recent one starring Anthony Hopkins, entitled “Kidnapping Mr. Heineken , released in 2015. 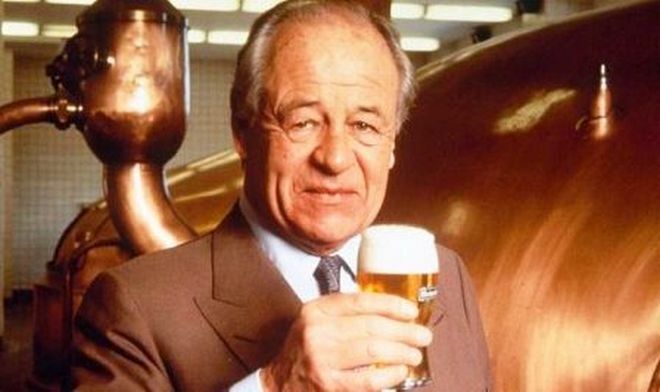 Alfred Henry Heineken, who built an Amsterdam brewer into one of the world’s biggest beer companies, died on Thursday at his home in the Dutch coastal town of Noordwijk. He was 78 and died of pneumonia. Mr. Heineken, who was known as Freddy, created the green bottle that helped Heineken become synonymous with imported beer in the United States. Aided by the company’s marketing, Heineken was the best-selling import in the United States for many years before it was dethroned by Corona of Mexico in 1998. Born in Amsterdam in 1923, Mr. Heineken began working for his family’s brewing company at the age of 18, during World War II. The company was started in 1863 by his grandfather Gerard Heineken, who persuaded his mother to back him financially by arguing that there would be fewer displays of drunken behavior on the streets if the Dutch were able to drink a good beer instead of gin. His grandson Freddy would prove himself equally gifted in the art of persuasion, directing Heineken’s advertising and marketing efforts. 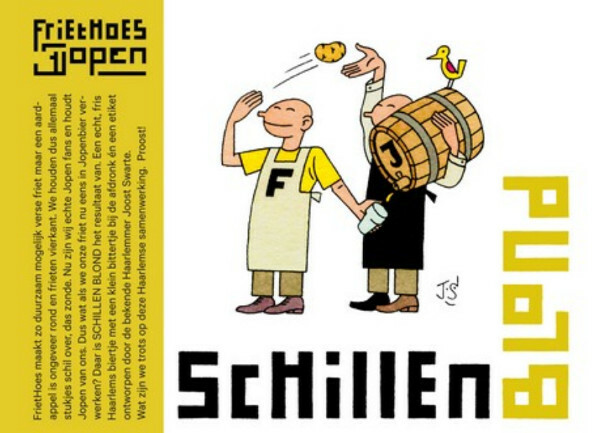 ”Had I not been a beer brewer I would have become an advertising man,” he once said. Shortly after the war, he went to New York and walked the streets of Manhattan presenting samples of Heineken to bartenders. His two years in New York changed Mr. Heineken’s life. 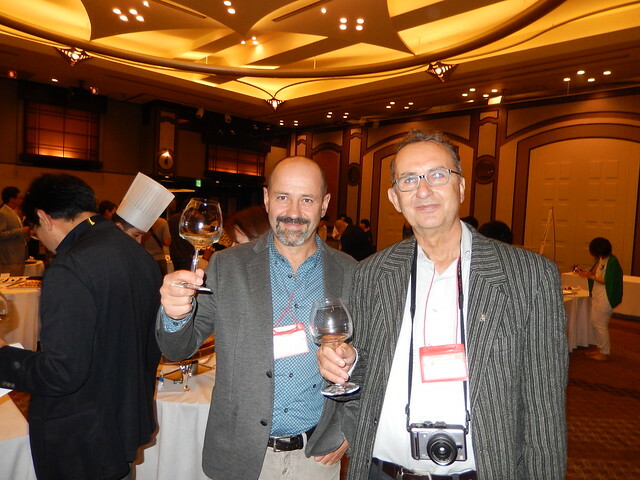 Not only did he learn about the export market that would make the company one of the three global giants in beer — behind Anheuser-Busch of the United States and neck-to-neck with Interbrew of Belgium — he also found the partner of his life. In 1948, he married Lucille Cummins, the daughter of a whiskey-making family in Kentucky. In addition to his wife, Mr. Heineken is survived by his daughter, Charlene, and five grandchildren. 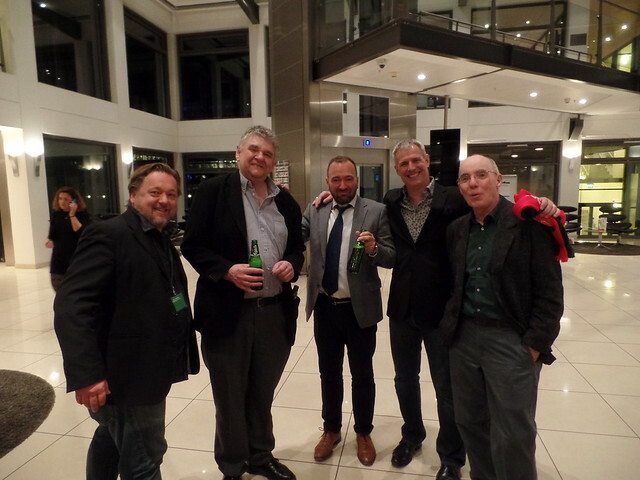 Family members continue to control Heineken Holding, which owns 50.1 percent of the brewing company, Heineken N.V.
Freddy Heineken began working at the company’s headquarters in Amsterdam in 1951, and set up its advertising department. He made Heineken’s brand color a bright green and oversaw the bottle’s distinctive design, with the red star logo and a black banner bearing the Heineken name. ”I don’t sell beer, I sell warmth” was his motto. His talents were not limited to sales and marketing. In 1954, he succeeded in regaining the family’s controlling interest in the brewing company, which his father had sold in 1942. 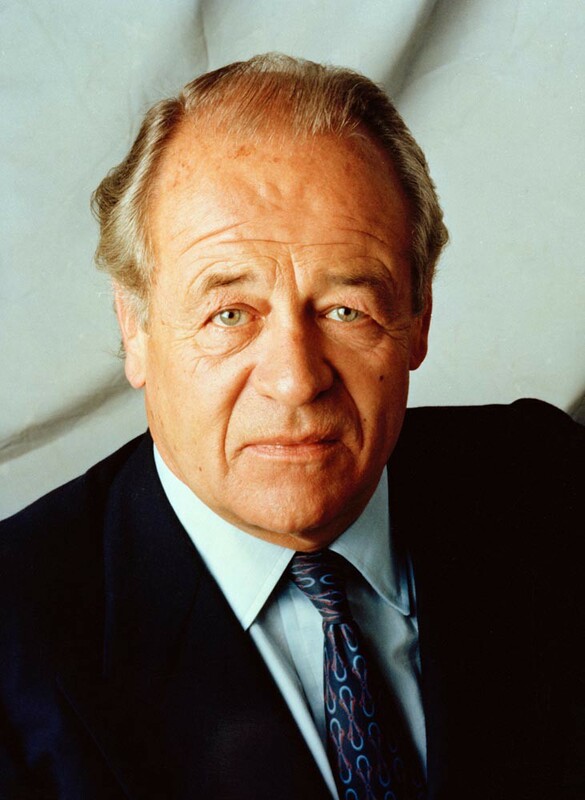 From 1971 to 1989, Mr. Heineken served as chairman of Heineken, setting the company’s long-term strategy nearly single-handedly. Under his leadership, Heineken grew into a global powerhouse. Heineken, which says it was the first brewer to export to the United States after Prohibition, had particularly strong growth in the American market. 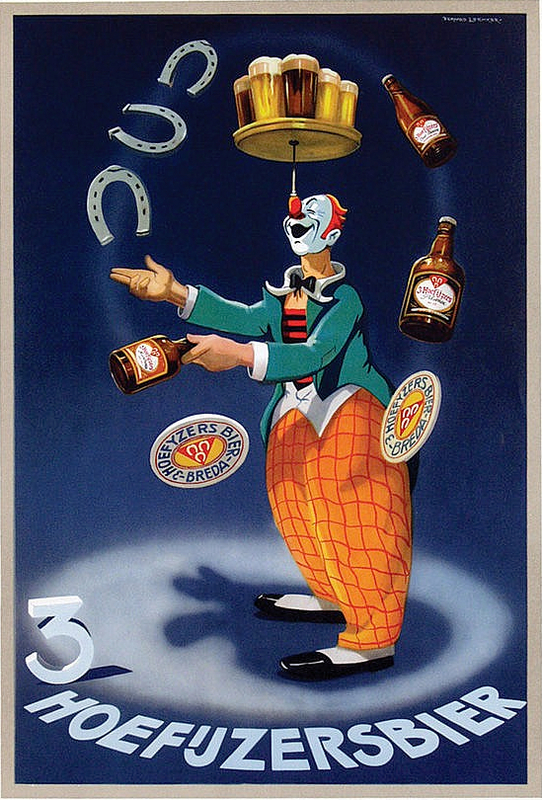 In 1960, the company sold a million cases of beer in the United States; 40 years later, the company sold more than 53 million cases, according to Impact, a beverage industry publication. The company acquired a Dutch rival, Amstel, in 1968, and Murphy’s of Cork, Ireland, a brewer of stout, in 1970. Today, Heineken has 110 breweries in more than 50 countries. Its beer can be found in more than 170 countries. Mr. Heineken became one of the wealthiest men in Europe and enjoyed near royalty status in the Netherlands. But his life was turned upside down in November 1983, when he and his chauffeur were kidnapped. The two men were chained to neighboring concrete cells for three weeks before the Dutch police raided a warehouse in Amsterdam and freed them. The rescue came after a ransom, said to be more than $10 million, was paid. 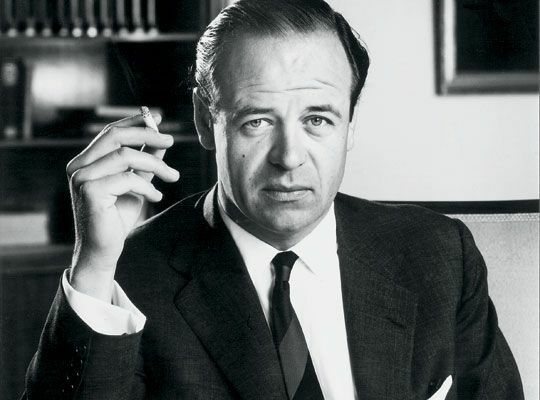 Afterward, Mr. Heineken limited his public appearances and became very protective of his family’s private life. In 1989, he relinquished his control of the brewing company but he continued to play a role in its running right up to his death. In November, he resigned as chairman of the holding company that owns a majority stake in Heineken N.V. His daughter, Charlene, was supposed to take over some of Mr. Heineken’s responsibilities at a shareholders meeting in April, but will now do so immediately, the company said. His family will retain its majority ownership of the company. 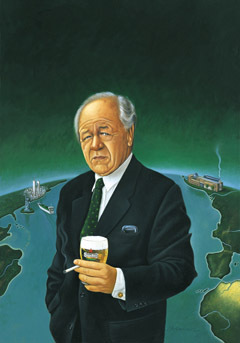 Outside of brewing, Mr. Heineken played an active role in promoting science and the arts. In 1964, in honor of his father, he founded the Dr. H. P. Heineken Foundation, which awards cash prizes for pioneering work in biochemistry and biophysics. In the 1980’s, Mr. Heineken started a second foundation in his own name that awards cash prizes to the sciences and the arts. 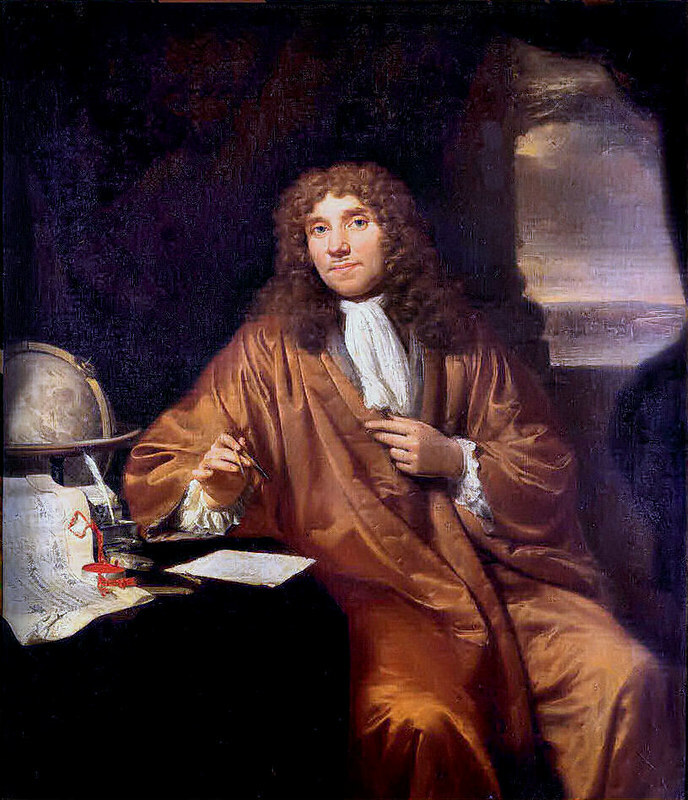 Leeuwenhoek was born in Delft in the Netherlands, to a family of brewers. He is known for his highly accurate observations using microscopes. In 1673 he began corresponding with the Royal Society of London, which had just formed. Leeuwenhoek made some of the first observations of blood cells, many microscopic animals, and living bacteria, which he described as ‘many very little living animalcules’. In 1680 his work was recognised with membership of the Royal Society – although he never attended a meeting, remaining all his life in Delft. 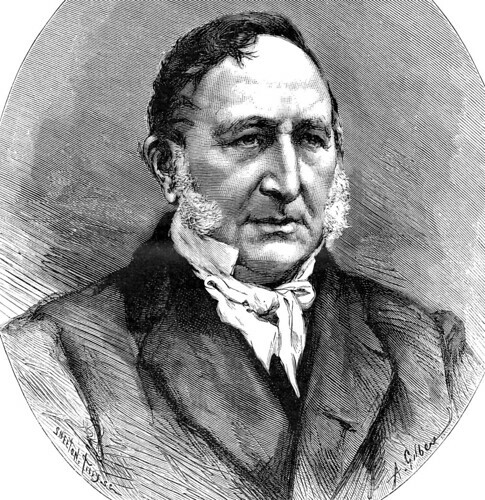 The man in the picture [the same one at the top of this post] is considered the “Father of Microbiology.” He helped to discover and sketch microorganisms. When he turned his microscope on beer, he saw some of the most useful microorganisms in the world — but he failed to recognize them. 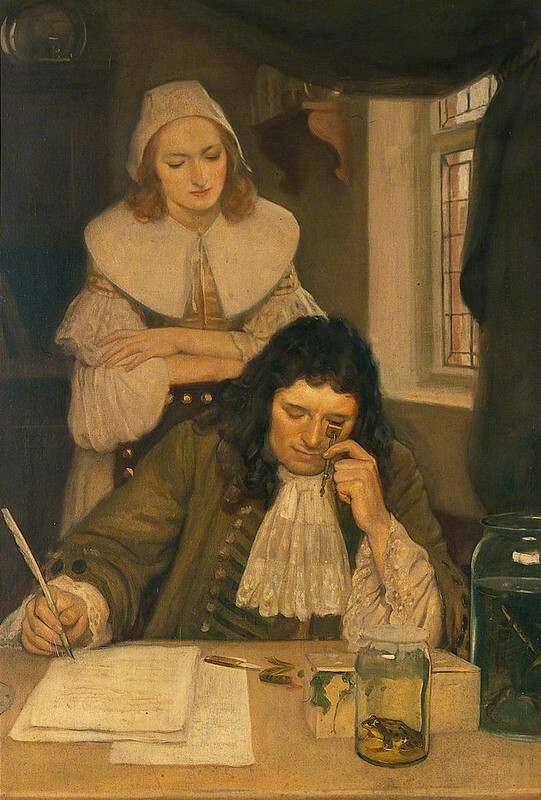 This man above is Anton van Leeuwenhoek, and he’s wearing an absolutely bitchin’ coat because he was a draper by trade. 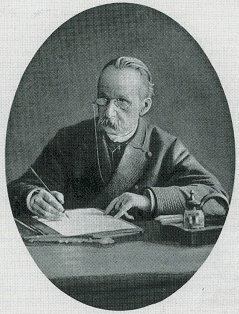 In fact, he draped so successfully that he managed to indulge his hobbies as he got older, one of which was lens making. Anton spent his days making powerful microscopes and sketching the objects he put in front of them. 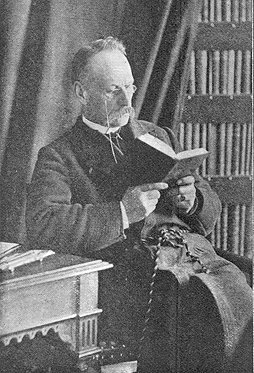 He discovered many things, the most interesting of which were animalcules, things that looked like tiny little animals. 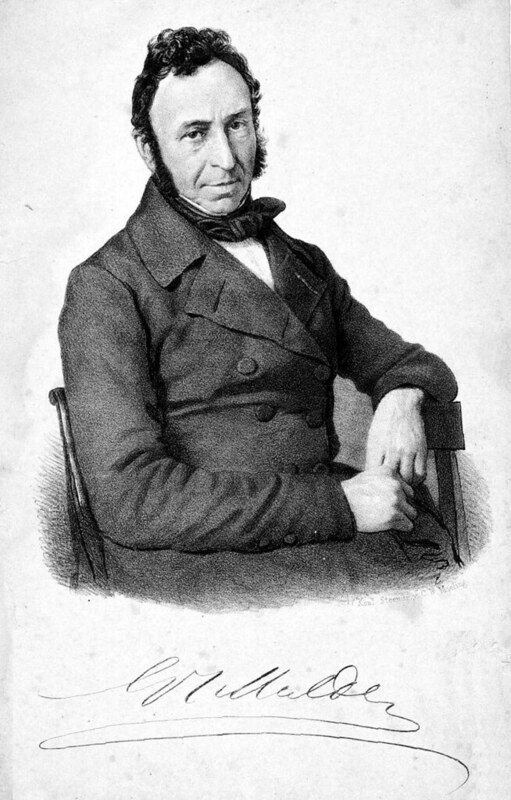 His sketches and descriptions, as well as his microscopes, jumpstarted the field of microbiology. It wasn’t long before he turned his lens on beer in the process of brewing. It was 1680 when he first trained his lens on a droplet of beer. 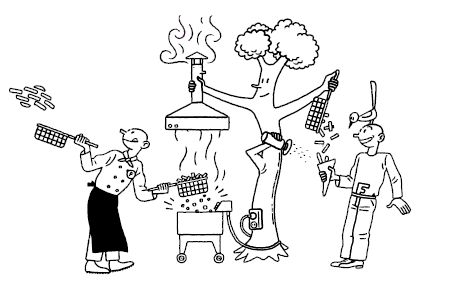 At the time, no one knew what it was that made hops, barley, and water turn into beer. 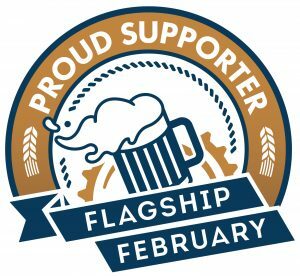 Although they knew of yeast as a cloudy substance that appeared in beer after it spent some time fermenting, they were entirely ignorant of what it did; to the point where there were laws against using anything except barley, hops, and water in the beer-making process. 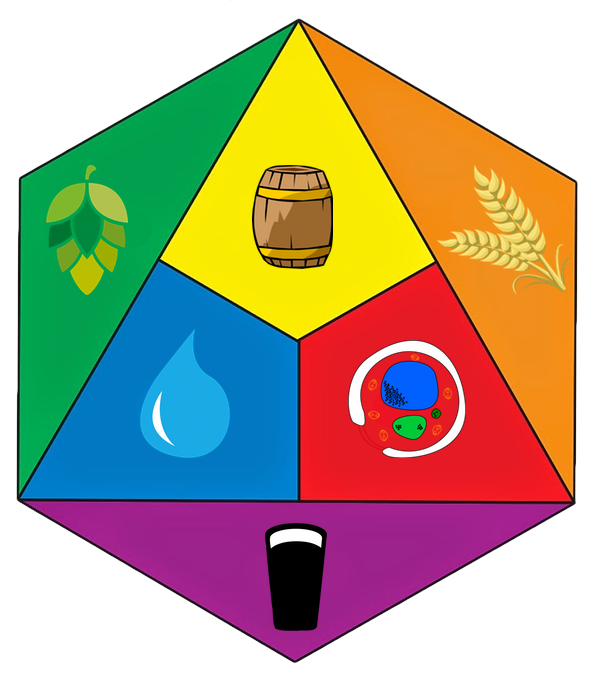 Naturally, as soon as Anton looked at brewing beer he saw little circular blobs. He saw the way they aggregated into larger groups. 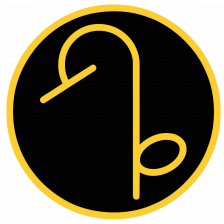 He saw the way that they produced bubbles of what he thought was “air,” and floated to the surface. Despite his obsession with microorganisms, he utterly failed to recognize them as life. These blobs, he believed, had come loose from flour. They aggregated into groups of six as part of a chemical process. Anton was fascinated by these groups of flour globs. He modeled them in wax, because he wanted to figure out the ways six globs could stick together while all being visible from above. This is his sketch of his models. It took another 150 years before Charles Canard-Latour figured out that the “air” was carbon dioxide and the sextets of blobs hadn’t aggregated together, they’d grown. 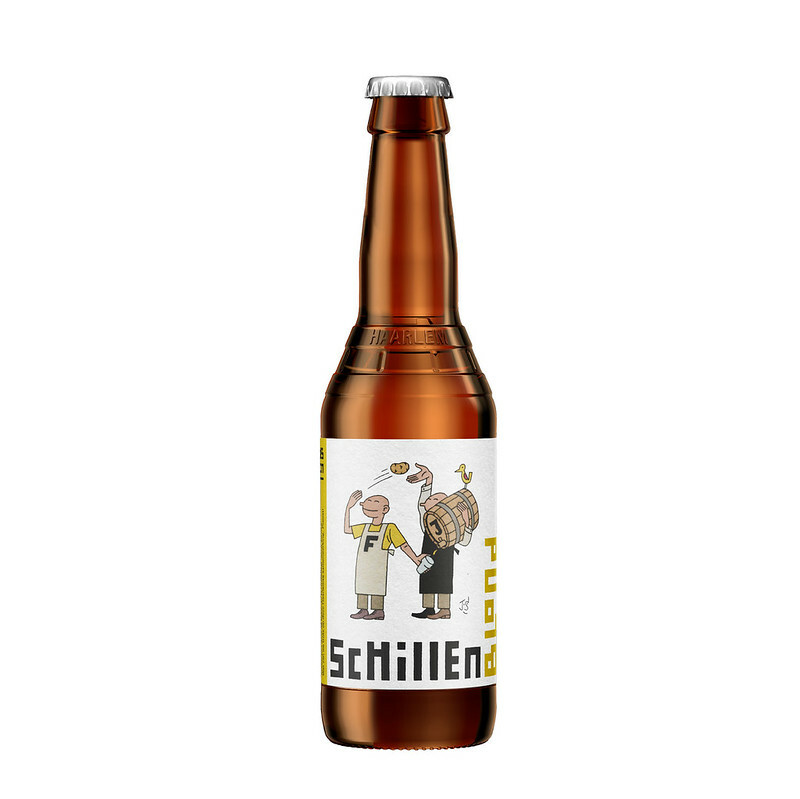 Archaeologists believe that beer was probably first brewed around 3000 BC. That means that we used an organism for nearly 5,000 years before we realized it even existed. 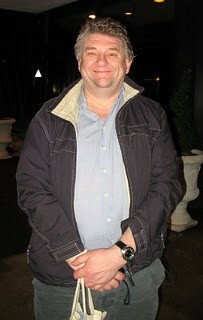 Today is the 62nd birthday of Ron Pattinson, a brewing historian who writes online at Shut Up About Barclay Perkins. 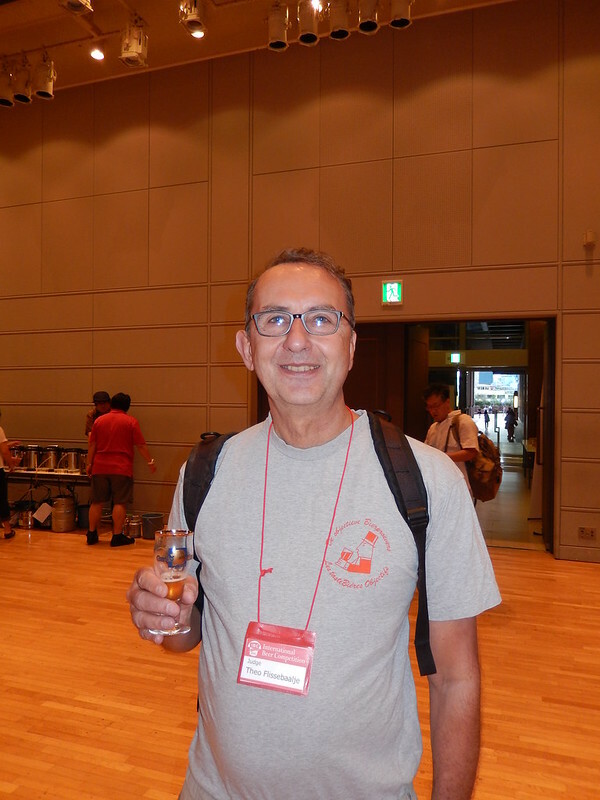 Ron lives in Amsterdam but is obsessed with the British brewery Barclay Perkins, which is what the title of his blog refers to. 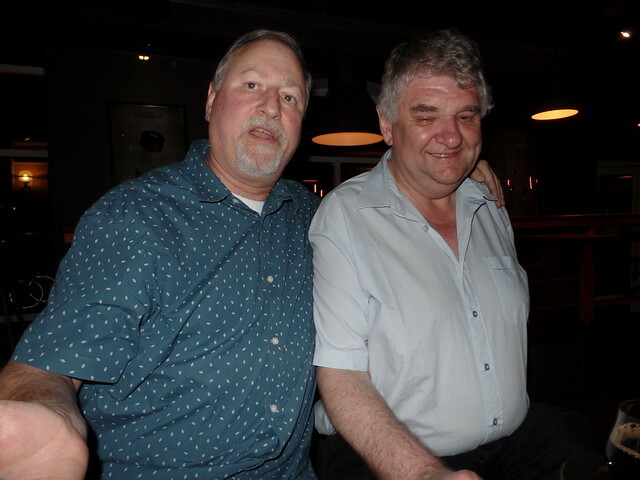 I have finally had the pleasure of meeting Ron in person, when we were both guests of Carlsberg for a press trip to Copenhagen earlier this year, and then again this year in Denmark, when he was there with his lovely wife. A few years ago, Lew Bryson had a chance to go drinking with Ron, too. Join me in wishing Ron a very happy birthday. Me and Ron at a bar in Copenhagen. 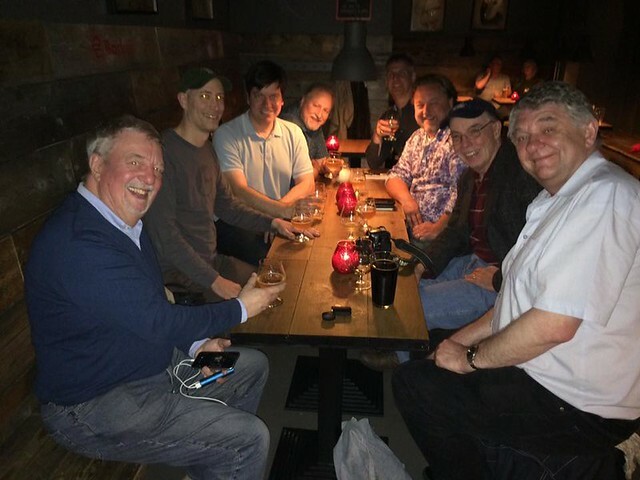 In that same bar, with (clockwise from lower left) Martyn Cornell, Jeff Alworth, Evan Rail, me, Stephen Beaumont, Pete Brown, Stan Hieronymus and Ron. 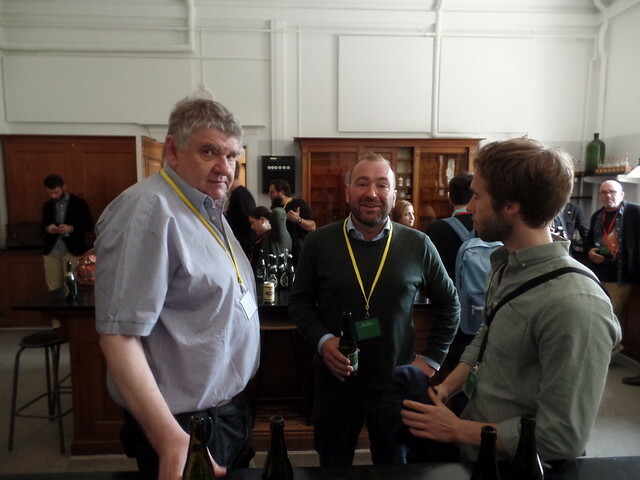 Ron, talking with Jeff Bell and Mark Dredge. 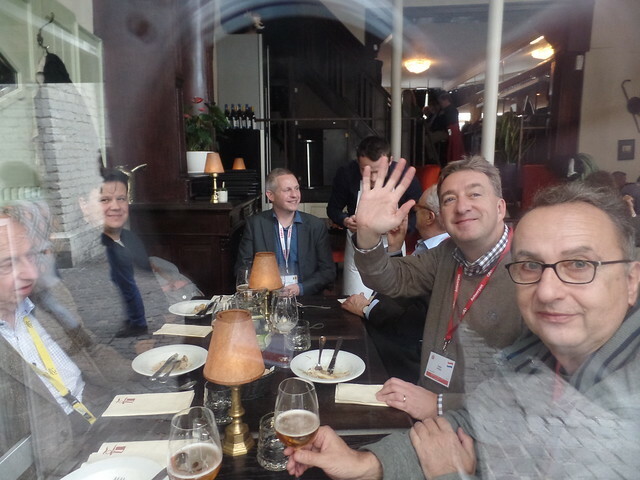 Leaving Copenhagen; Pete Brown, Ron, Jeff Bell, Stephen Beaumont and Stan Hieronymus. Ron while drinking with Lew Bryson. 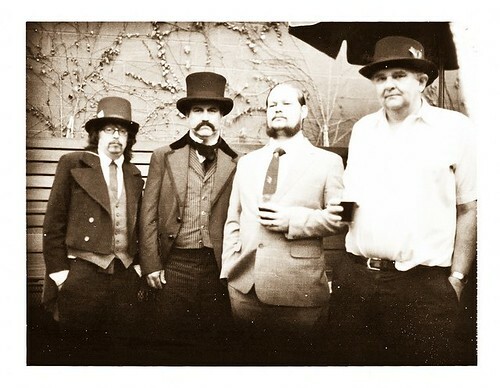 At Pretty Things 1901: Jim Barnes, Dann Paquette (Pretty Things), Jay Sullivan (Cambridge Brewing) and Ron Pattinson. 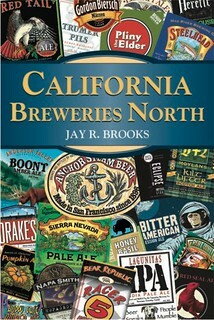 Today is the 44th birthday of fellow beer writer Brian Yaeger, author of Red, White & Brew and Oregon Breweries. 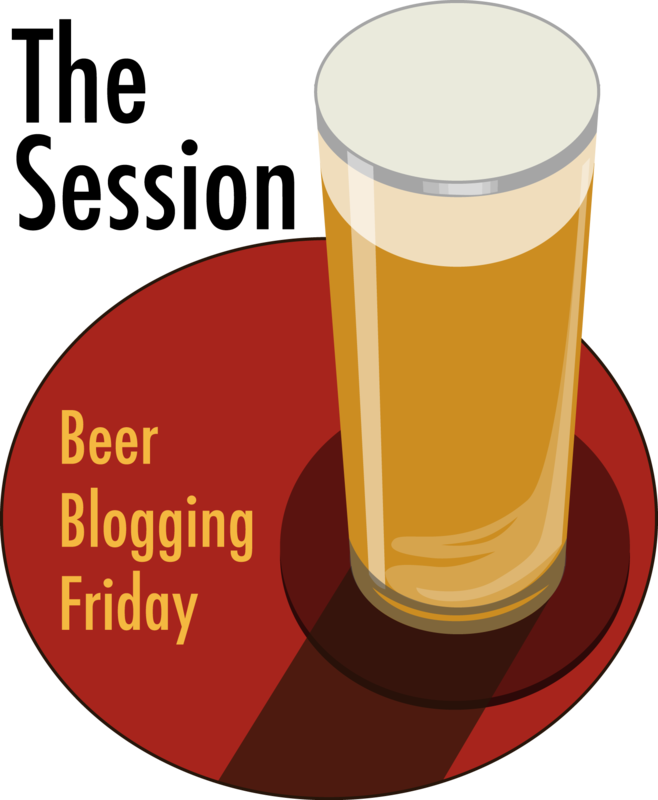 Brian also writes online at his Red, White & Brew Beer Odyssey blog. A couple of years ago Brian and his lovely bride Kimberly lived in Portland, Oregon (having moved from San Francisco), but then moved to Amsterdam, then moved back to Portland, but more recently relocated once more, this time to Santa Barnara, California. Join me in wishing Brian a very happy birthday. 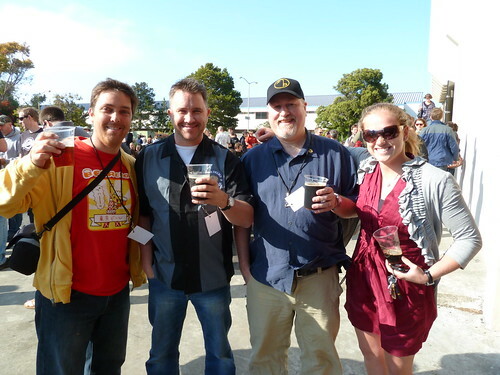 Brian with Brian Lenzo, owner of Blue Palms Brewhouse, me and Meg Gill at the Speakeasy Brewery during SF Beer Week in 2010. 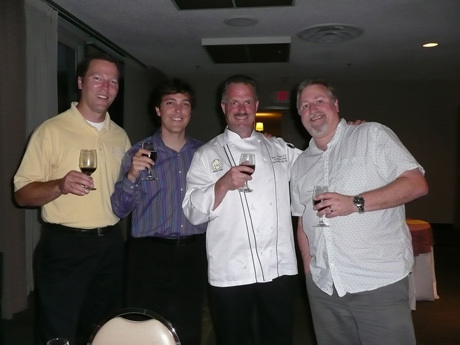 Craig Cauwels with Brian, the Beer Chef Bruce Paton and me at a Schooner’s beer dinner at Cathedral Hotel in 2008. 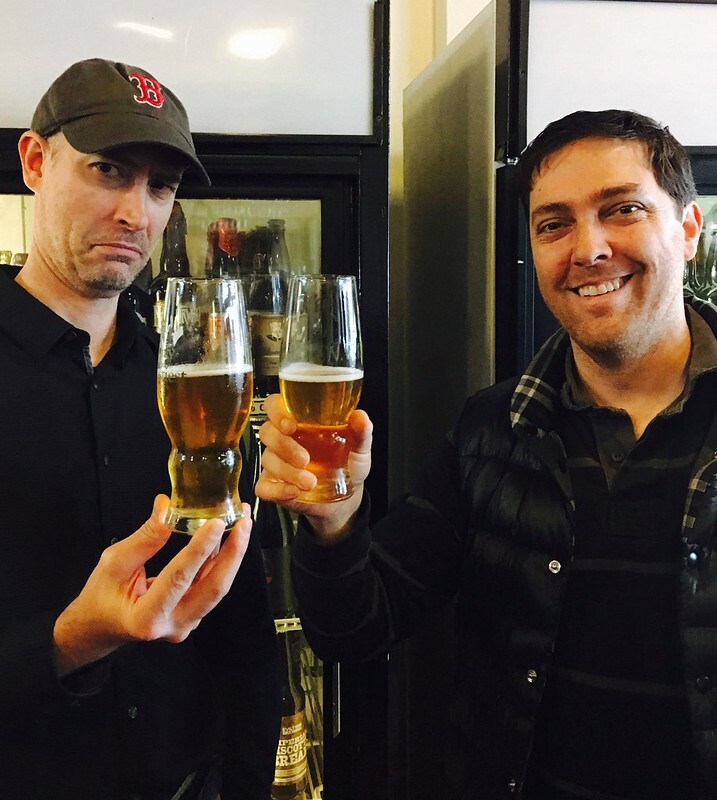 Brian and a sour Jeff Alworth [purloined from Facebook].